Slowly but surely, Loveland Ski Area gets ready for the 2016-17 ski season. Warm, windy weather was hampering firefighting efforts between Aspen and Vail on Monday and limiting snowmaking at ski resorts like Loveland and Arapahoe Basin that are trying to crank up ski lifts for the 2016-17 ski season. But lower temperatures and a small amount of natural snow could help both causes by Wednesday morning as a massive winter storm sweeps to the north of Colorado, according to forecasters. About 80 firefighters using helicopters were battling the 300-acre Freeman Fire near Ruedi Reservoir between Basalt and Gypsum in western Eagle County. But as of Sunday evening, crews had zero containment of the blaze, according to the Denver Post. Temperatures will plummet and some snow will fall in the Colorado high country, especially along and north of Interstate 70, through the middle of the week, according to meteorologist Joel Gratz of Opensnow.com. Arapahoe Basin and Loveland, meanwhile, are both angling to be the first ski area in Colorado to open for the season, but temps in the 80s in Denver and in the 70s in some mountain valleys have conspired for a slow start not particularly conducive to snowmaking. It’s the same story at A-Basin, where things have been going slowly but should pick up with this week’s small blast of winter weather. “Sometimes the journey to opening is a few giant steps, sometimes it is many small steps, sometimes it is both. This year is both,” A-Basin COO Alan Henceroth reported last week. A few lonely patches of man-made snow dotted Vail’s Golden Peak on Monday, where ski race training will begin once enough of a course is put down by the area’s extensive snowmaking system. Vail is not scheduled to open to the public until Friday, Nov. 18. However, the World Cup ski-racing season gets underway this coming weekend, with women’s and men’s giant slalom races on Saturday and Sunday, Oct. 22-23. Eagle-Vail’s Mikaela Shiffrin will kick off her season Saturday, while Vail’s Lindsey Vonn will wait for speed events in early December, according to the Denver Post. Shiffrin is pumped to rebound from injury last season and build on her two victories at Aspen last November. Aspen Mountain will host the World Cup Finals in March, and crews over the weekend were working on improvements in anticipation of the rare event, which has not been held outside of Europe since Vail hosted the finals in 1997. Aspen will not host its traditional Thanksgiving races, instead sending that women’s event to Killington, Vermont, for a rare East Coast World Cup race. Beaver Creek will once again host its traditional Birds of Prey men’s races in early December, including the possible return to racing action of legendary American speedster Bode Miller. 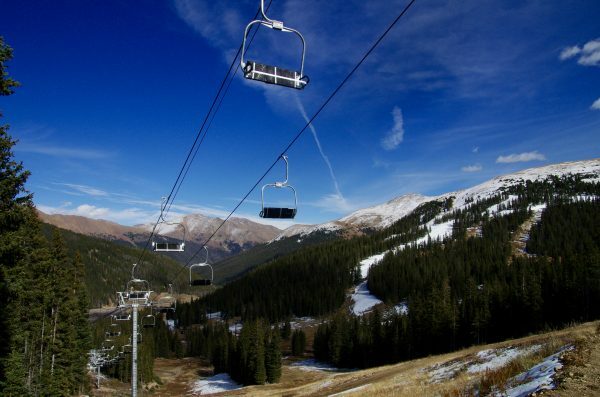 Could Colorado revive ski train concept beyond Winter Park?